developer of Collaborative Couple Therapy. 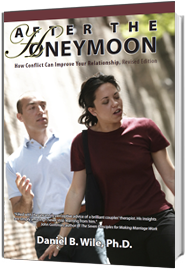 Detailed description of doubling—the signature method of Collaborative Couple Therapy. 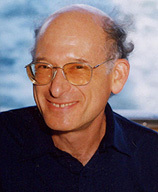 Interview of Dan Wile by Ruth Wetherford. Dan practices in Oakland, California. He has forty years experience as a couple therapist, gives workshops throughout the country on Collaborative Couple Therapy, and has authored three books and numerous articles on couple therapy and psychotherapeutic theory. 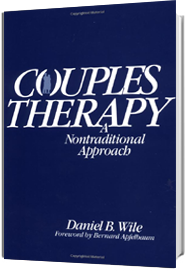 I went to Dan Wile’s “collaborative couple therapy” training here in Atlanta this week (February, 2019) and it was beyond helpful (and so fun). I highly recommend it, if you have the chance. 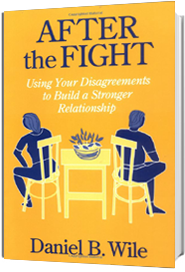 There is something very special about seeing the creator of a technique we use so regularly in the Gottman Method (“the Dan Wile?”) practiced right in front of you. It had that once-in-a-lifetime kind of feeling, and I feel a lot more comfortable with how I can use some of his techniques even better now.